Solid Tea, 2002, Oil on canvas, 20 x 20"
The Sundaram Tagore Gallery is pleased to present Primary Sources: the exhibition paintings by Stan Gregory. 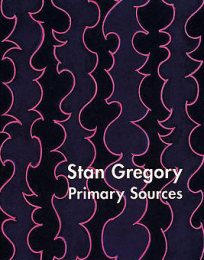 Stan Gregory is a native of Tallahassee, Florida. He attended Florida Southern College, in Lakeland, as a student of architecture. He was attracted to the campus by the college's large, renowned collection of buildings designed by Frank Lloyd Wright. While pursuing architecture, he became increasingly interested in the Fine Arts Department and eventually focused on painting and printmaking. Gregory's graduate studies took him to the University of South Florida. There, he was among a pool of talented students who had been drawn to USF by the stature of the university's Graphic Studio program, founded by Donald Saff. The program gave students an opportunity to work alongside world-class artists in printmaking collaborations. After completing his studies, Gregory worked at Palm Press, Ltd., an avant-garde printmaking studio in Tampa, making prints for such well-known artists as Robert Rauschenberg, Jim Dine, and Alice Aycock. During this time Gregory continued to develop his painting language, exhibiting regionally and with acclaim. In 1983, he was selected by a statewide panel of museum curators and art critics for an exhibition called "Road Works," for which he created original artwork for massive (14 x 48 feet), outdoor billboards. Eighty-five thousand people viewed his work each day as they drove along state highways. As a precocious young talent, Gregory welcomed this wide exposure, which gave him the confidence to pursue a professional career. In 1984, Gregory moved to New York City. The move provided him with opportunities to further refine both his painting style and his vision. There he studied the work of such French neoclassicists as Jacques-Louis David and Ingres, attracted by their strong linear construction, classical composition, and balance. He also studied medieval illuminated manuscripts and early Italian frescoes, closely examining their patterning, surface treatment, and use of color. New York galleries, museums, and artists also gave Gregory access to the art and the ideas that charged his work. Gregory is heir to the modernist tradition of Geometric Abstraction, and his sensitive work resonates qualities reminiscent of the Renaissance, as well as the Islamic and Japanese calligraphic traditions. His absorption and integration of these traditions into personal expressions (and, consequently, his art) are rooted in his belief that "there is an essential connection between everything—a kind of ethereal tether which is the basis of meaning." His work sets a framework of lines against both vivid and minimal backgrounds, constructing his canvases layer by layer, in a painstaking manner that creates fresco-like surfaces. The dynamic, energized lines in his paintings straddle the language of Pollock, graffiti, and Eastern art in one sweeping statement. Gregory's paintings are consciously devoid of symbolism, but they have a structural correspondence to form that is universally recognized. They may be read as secular mandalas—symbols of the universe—and, as such, they are graphic, frontal, flat, and patterned in a way that conjures up varied imagery whose sources cannot be easily identified. As an art critic for the Christian Science Monitor has rightfully pointed out, "Before anything else, Gregory is a good painter, a fact that is of much greater importance than his identification as one who fashions pictures out of rectangles, straight and wavy lines, circles, flat planes and spirals."